Battle lines are well and truly drawn at this stage between rival promoters, networks and platforms for competition in American boxing. Recently leading boxing promoter Eddie Hearn from London announced his plans to take on the American boxing market backed by powerhouse sports media giant Perform through their innovative DAZN streaming app – which has proven wildly successful in the German and Japanese sports markets already. Starting off in the US market on September 22nd, DAZN will show the heavyweight title fight between Anthony Joshua and Alexander Povetkin. There’s been a real buzz among boxing fans as to see what it’s going to be like and what comes next from DAZN and Hearn. DAZN will start off with boxing and MMA as sports, already securing Bellator MMA content, next season’s World Boxing Super Series and a plethora of content in boxing provided by Hearn’s Matchroom in the UK and USA. But, a quiet giant in the boxing business has been lurking in the background in recent months. Quietly watching, listening, but never talking. 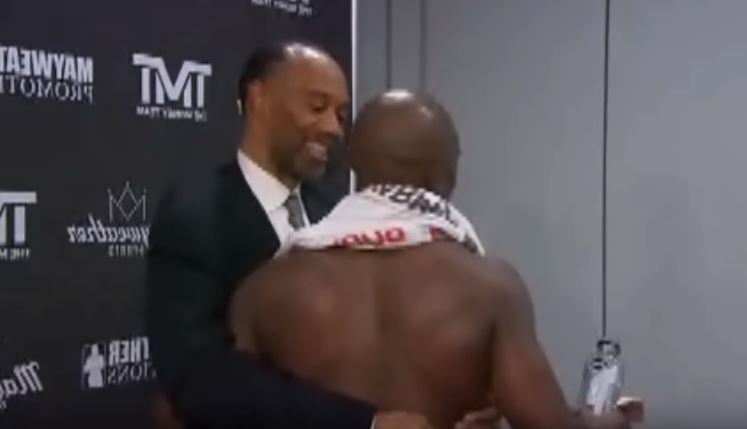 That is of course Floyd Mayweather adviser and boxing power player Al Haymon who is now firmly doing battle with Eddie Hearn in terms of holding onto his star fighters while Hearn looks to attract them to DAZN. Mike Coppinger of The Ring has reported that Haymon has secured a new deal with Fox starting in December that combined with Haymon’s new deal with Showtime will reportedly eclipse the budget Hearn and DAZN have for boxing over eight years (one billion dollars spread out over the term). It’s hard to know the exact figures and inner workings of such deals without being privy to contracts but one thing is clear, the intent of Al Haymon to not roll over and fight his British counterparts for control of the American boxing market, and, to ensure the narrative that he’s out of money purported in various quarters is retaliated against. Good old Al, he wasted little time in hitting back really. The end result of all this? Two things. (a) More money for the fighters. (b) Better fights for the fans. The sport is the big winner out of this. Expect a whole heap of big fights to be made in American boxing over the next twelve months off the back of these excellent bits of news for the sport. Both from DAZN and now Fox re-investing back into what can no longer be considered a niche sport anymore – professional boxing.